Coal is nature’s gift to mankind. Be it for cooking food in a poor person’s house or for lighting millions of homes across many countries in the world, it is occupying a position of pre-eminence. This book is about dreams coming true, about taking initiatives, about hard earned success in implementing state of the art technologies, about human approach and passion for work. It’s about transparency, dedication to duty and overall living up to the tenets of trusteeship as espoused by the great father of Indian nation, Mahatma Gandhi. Mr. Dattatreyulu is a B.E (mining) from Osmania university, Hyderabad. He joined SCCL in October 1976 as Graduate Trainee. Working in various capacities in underground and opencast mines, he worked in key role as SO to C&MD for about two years, thus getting an opportunity to get a bird’s eye view of the company. 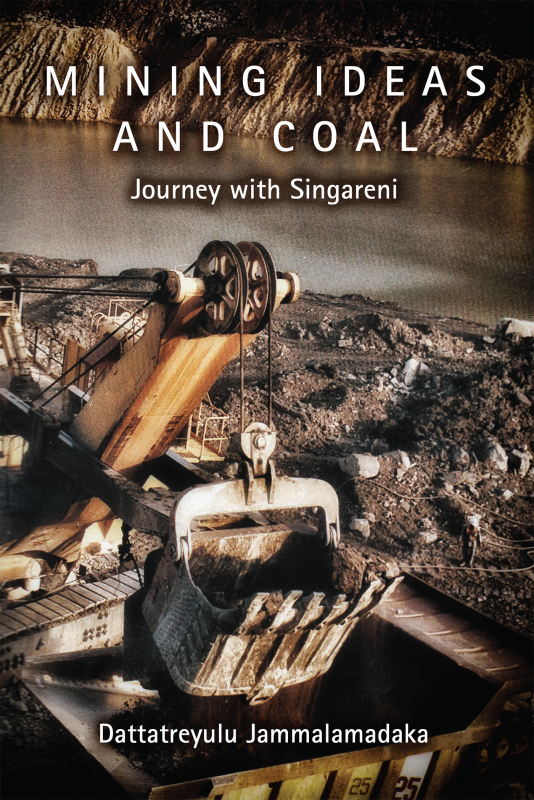 Working as General Manager of a group of coal mines, he took up several initiatives for increasing production and productivity; improve quality of coal despatches, housekeeping and good maintenance practices in mines and coal handling plants. Activities taken up under CSR and employee welfare have set benchmarks for companywide adoption. He worked as Director on the Board of SCCL for over 8 years and played a key role in introduction of new generation Long Wall face, successful implementation of continuous miner technology in two UG mines, ‘short wall’ in one mine and High wall mining. Implementing SAP, initiatives in Safety, employee friendly and hassle free medical treatment for employees, taking up roof bolting with roof bolters and resin capsules in the UG mines on campaign basis, streamlining coal exploration by insisting for more geophysical methods and taking steps for drill productivity, improving the efficiency of hydraulic sand stowing in UG mines were some of his notable achievements. He went on study tours to the coal mines in USA, UK, Japan, Indonesia, South Africa, China, Australia and Germany for implementing various technologies in the mines of SCCL. He had served as chairman and part time Director of APHMEL a subsidiary of SCCL for about 4years and also as a member of Board of Mining Examinations (coal) in DGMS for about 6 years. He contributed few papers on IT initiatives in mining, exploration and such other subjects in international seminars.